Another month has passed and another lovely baby girl has graced us earth side. 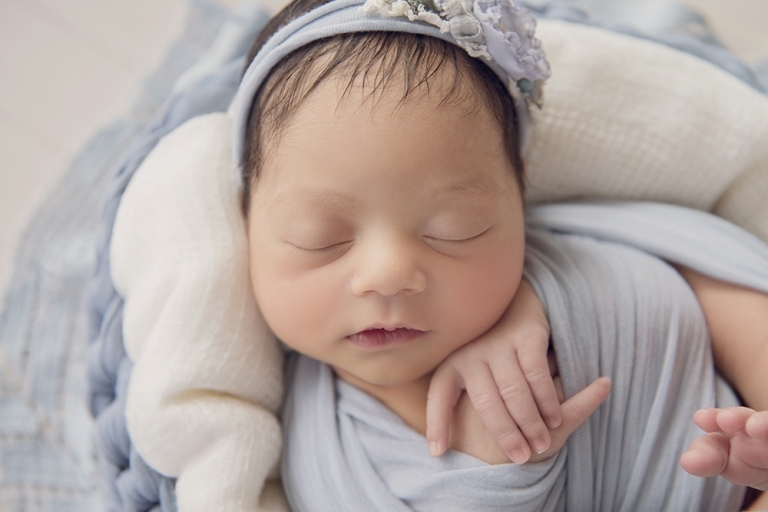 Little Zaya was pure perfection for her photographs and the day we spent together was simply a delight! Zaya’s mum and dad chose some beautiful props from my collection to have for their photos. We used all the colours of the rainbow and have a beautiful, rainbow filled gallery! All these lovely images were taken in their home. 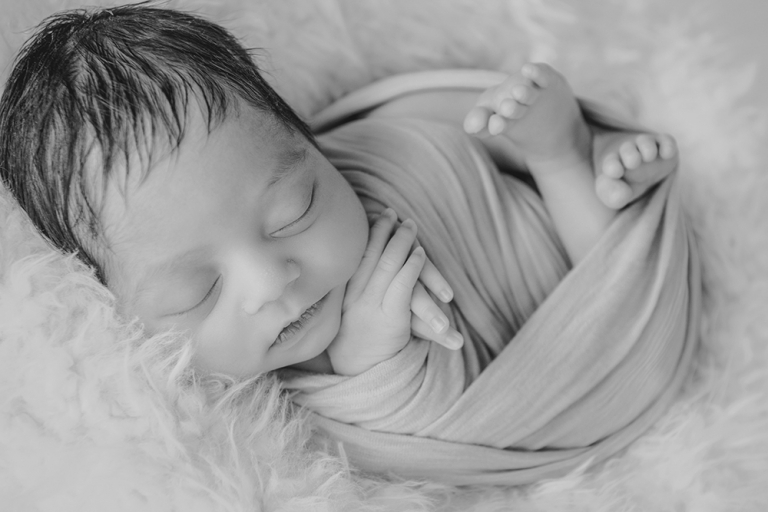 When choosing me as your newborn photographer, you can have your photographs done in the comfort of your home. That’s right! I pack up my car and I travel to you. You shouldn’t have to worry about leaving the house with a brand new baby so let me come to you. Or, I have a brand new dedicated studio space that you can visit for your Newborn Photo Shoot. Sit back, relax and enjoy the experience with your new baby. 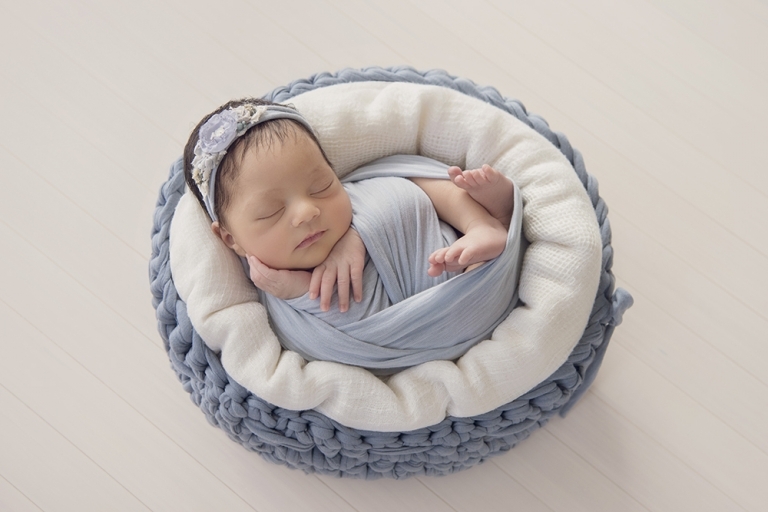 to enquire about your custom newborn shoot. Zaya’s mum and dad chose a beautiful Album to display their photographs. There are 20 Images in this album and they also chose the album cover material and colour – beautiful Admiral Blue to complement the images inside. Along with the album, they also received a USB containing the same 20 Images. They’re high resolution files so they can re-print, enlarge, anything they’d like to do!